Have you, a family member, friend, co-worker been injured in an accident in Anaheim, Orange, Santa Ana, Garden Grove, Fullerton, Santa Ana, Irvine, Costa Mesa, Brea, La Habra, Buena Park in Orange County California? Car Accident Injury Attorney in Orange County CA. Finding the right Orange County Auto Accident Injury Lawyer - Thousands of Auto Accidents in Orange County California happen all across the the various highways and freeways each year. From the 5 fwy through to Santa Ana, to the 91 fwy around to the 57 fwy through Anaheim to the different routes of the 405 fwy, merging onto the 55 fwy onto the South OC. 73 fwy, and you can't forget the toll highway 241, and the easy 22 freeway through Orange and Garden Grove. With so many car accidents reports on a daily basis and the possibility that you may have just been in an accident or a family or friend has just been in an accident. You need to know you have powerful legal support to help for any accident injury case claim within all of Orange County California. Call immediately to know your legal rights and get the best information for your particular case. Call (714) 265-7526 - Talk Directly with Alexander Napolin. If you a family member, or friend have recently been in a car accident, ask yourself these simple questions. Can you pay for all the medical treatments due to your injuries? What about the Loss of wages and bills piling up? The Pain and suffering as well as the stress your enduring? Do you know all your legal rights in a auto accident personal injury case? Whatever you do, do not rely on the insurance company's good will for your injury compensation. The insurance company will not protect you or get you the compensation you deserve. You need an experienced and aggressive Orange County Auto Accident Injury Lawyer on your side who will fight to get the best that you deserve! Significant issues will surely arise in your case from the outset. The insurance company might appear nice at first to try to determine who is liable for the collision or how extensive your injuries are, but their sole goal is to find out how little money they can pay you on your injury claim. By getting a dedicated OC Car Accident Lawyer like Alexander Napolin on your side, you will have a strong presence going to bat for your case from day one. This will maximize the odds of a fair and just recovery on your case, and it will give you the peace of mind you need to focus on your recovery. 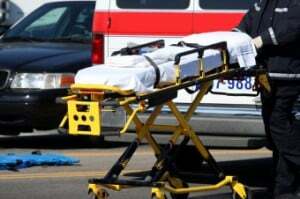 Many people do not know where to begin when injured in a car accident injury collision. This is why you should contact the Law Office of Alexander D. Napolin, an experienced and successful attorney. Alexander Napolin - auto accident lawyer, offers free consultations to discuss how to protect your rights and recover the damages you deserve! To receive help from a lawyer, a medical malpractice attorney, a construction damage incident attorney, a negligence claim lawyer, or any other type of personal injury law professional in the Anaheim, Orange and Santa Ana California area, please contact our law firm today. We can definitely help you through this situation and get you the best legal representation for your accident injury claim that you deserve. Consulting an attorney immediately following any Auto Accidents in Orange County with harm, damage or pain is essential to the preservation of crucial evidence and witness testimony. California law places time limits on filing injury law claims. Mr. Napolin will schedule appointments on weekends or evenings and make hospital and home visits if necessary in certain cases where time limits are of the essence. If you have a legal case you would like to address with attorney Alexander Napolin, call 1 (714) 265-7526, or contact him online by filling out a case evaluation form, and let him give you a free evaluation of your case. You pay nothing in attorney fees until you obtain a recovery on your claim. Mr. Napolin works on a contingent fee basis, which means he only receive a percentage of your recovery as a fee. Whether by settlement or verdict. Our Car Accident Injury law office is conveniently located in Santa Ana, California. A Lawyer for Auto Accidents in Orange County can help guarantee you receive complete benefits from the insurance coverage. As well as Determine whether you can file for auto accident injury claims for added damages versus the party at fault for the accident. If you have actually suffered a severe pain or harm, we may have the ability to assist you in a court settlement beyond that which is offered through your insurance claims provider. Working with an attorney to represent you after a car accident injury collision suggests you will have a qualified lawyer working for you and on your side. One who is very well-informed about the relevant laws and procedural guidelines that could affect your Car Accident Injury case, your compensation for injuries, and medical bill payments. 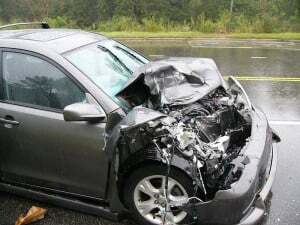 A Car Accident Personal Injury Attorney can advise you of any time limits called statutes of constraints that can run to disallow you from filing a claim versus the at-fault motorist. For instance, you need to file your claim within two years or be forever restricted from submitting your claim. Your attorney can file a suit on your behalf and will know how to manage any possible defenses raised by the opposition. 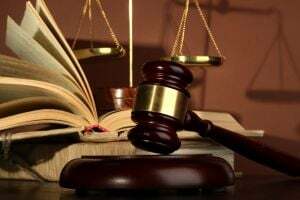 In addition, once your legal case gets under way, an attorney will be an invaluable guide in browsing the commonly confusing world of trial preparation, as well as going to trial if your case doesn't settle. 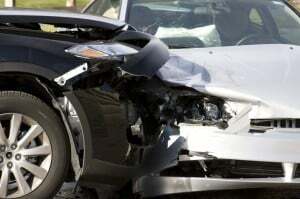 If you or a loved one has been injured in an automobile collision.You should call our seasoned car accident injury lawyer in Anaheim, Orange, Santa Ana and Orange County for a free assessment. We comprehend how to effectively stand for individuals who have been injured in a Car Crash in Orange County, motor vehicle collision, and are devoted to assisting people after any harm from a personal injury. We can help with your personal injury case immediately. We are one of the few Orange County Personal Accident Attorneys who will help discuss your particular injury case with compassion and determination to fight for your injury claim benefits. So, if you've been involved in a: car accident injury, motorcycle collision, truck accident and any collisions resulting in serious pain, suffering, harm or wrongful death. Which may have been caused by defective tires, injuries or illness or wrongful death due to a defective product, drunk driver collisions, trucking big rig crash, construction, boating, commercial truck collisions, or 18 Wheeler accident. We will treat your case with the compassion and attentiveness it deserves! Call Alexanderr Napolin - The Best Orange County Auto Accident Injury Lawyer today!